The Star Hex drainage grate mixes circular and star shapes to create an appealing modern design. 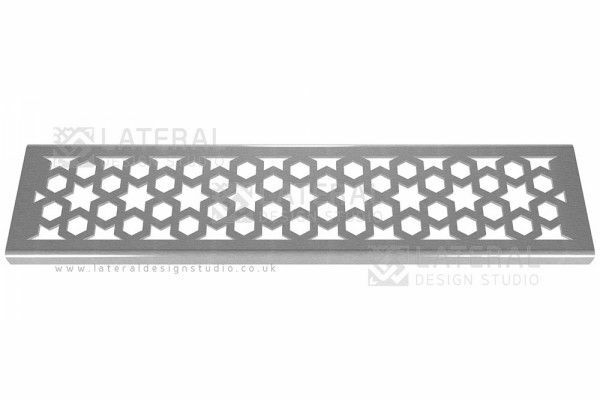 The grate is manufactured in the UK using recycled stainless steel, it has a brushed finish to give that contemporary look to a patio or driveway project. 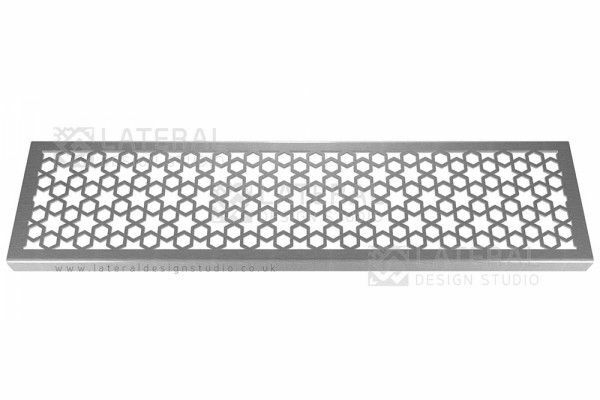 This particular drainage grate has a large drainage capacity due to the number of shapes cut, so for areas which have a higher than average level of rainfall this grate is perfect!